Home / Delano's Difference / What sets Delano’s apart from other area home furnishing and bedding stores? At Delano’s Furniture & Mattress, we believe that upgrading your home decor should be more than just buying furniture. When you step into one of our stores, you’ll see the Delano’s Difference in our team. First and foremost, we treat each customer with kindness and honesty while showing excellent service. We strive to create a comfortable environment to browse the wide selection of furniture and bedding collections. Each associate is prepared to answer any of your questions to help you find the perfect pieces, but without being aggressive or deceptive. Our showrooms are filled with a wide range of quality home furnishing. When customers step into our stores, we want them to see the pride we have taken in selecting each piece. We strive to give folks the very best options in furniture and bedding, regardless of what brand name is on the label. As the owners, we personally go to the furniture markets. We look at how the pieces are made, and inspect each collection for quality and durability. 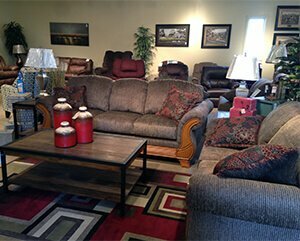 Quality home furnishings for Preston and Monongalia County, and surrounding areas. Excellent service and quality furniture is just a part of what makes Delano’s different than other home furnishing retailers. Once you find the pieces you like, we know you will love the price you see on the tag. We boast the lowest out-of-door prices guaranteed – both online and locally. And for any reason, if you find another store with lower pricing – we will match it. Because our stores have low overhead, we consider it a privilege to pass these savings on to you. If you prefer to finance your new purchase, we also have straight-forward options for helping you stay within budget. But the Delano’s Difference doesn’t stop at the register. Our delivery team will work with you to schedule delivery of your new furniture at a time that is convenient for you. Our customers repeatedly tell us how much they appreciate the level of professionalism that the delivery team displays – not just with handling the new purchases, but also treating our customers’ homes and families with respect. We know that life is unpredictable, and that’s why we honor all warranties from the manufacturers. These warranties are excellent and always included for the pieces you purchase. If something ever happens to your new furniture, we will help you with any warranty claims. Delano’s will directly come and fix the issue as quickly as possible. It is our priority to make sure that our customers have quality, affordable options when they start shopping for their new furniture, and that they are treated with respect throughout the entire process. We invite you to stop by one of our Delano’s showrooms and experience the Delano’s Difference for yourself. Both the Reedsville and Terra Alta locations are open Monday through Saturday from 10:00am until 6:00pm. We keep our stores closed on Sunday so that our team can enjoy the day with family and friends. Freedom from a poor night’s sleep is on SALE now!